Georgia residents, some of you may already have the gold star on your drivers license. Check it out. Look on the back, there is a 3d image with a gold star on some of your drivers’ license. Add this to your Agenda 21 /OBAMACARE watch list. 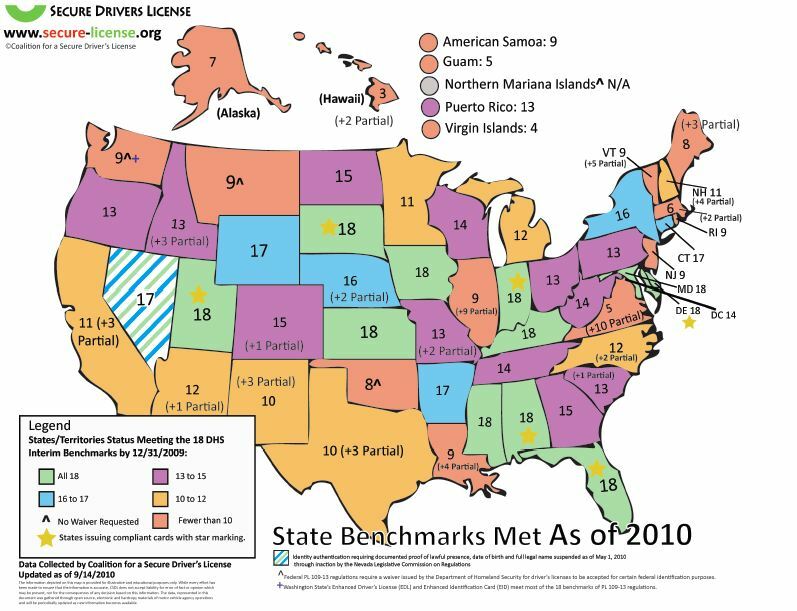 At least eleven States have met all of 18 benchmarks that constitute Real ID. How can that be? Well, the policy is simply not being called “Real ID”although the benchmarks are the exact same ones set for Real ID. and corporations to replace unionized workers with prison labor. because corporations can save on shipping costs. http://www.brasschecktv.com/page/9587.htmlGovernment corruption The Invisible American Workforce. More than 100 Texans have joined together to petition public utilities regulators to ban so-called “smart” power meters because of the health threats they impose on the general public. The meters are designed to interact with various advanced electronic appliances to monitor – and even manipulate – the use of power. 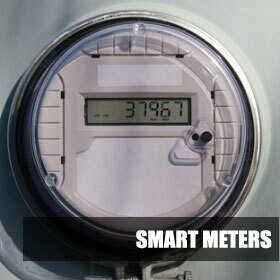 “Petitioners who have been subjected to forced or compelled installation of smart meters or have been exposed to RF and EMF radiation generated by smart meters fraudulently installed on neighboring homes and businesses have experienced difficulties with symptoms of insomnia, headaches, dizziness, nausea and other symptoms,” states the petition, submitted to the Public Utilities Commission of Texas by attorney Tom Cryer on behalf of Devvy Kidd, John Kidd and more than 100 others. Cryer said his goal is to obtain a ruling on the dangers of the meters based on the health risks they pose. “It’s like rushing thalidomide to the market … and not knowing the consequences,” he said, referring to the 1950s and 1960s use of the drug that caused major birth defects for children whose mothers used it. He said the problem is the radio signals generated by the units. “The meters are being pressed by the utilities in anticipation of charging different rates for usage at different times of the day and night, providing the utilities with a premium for peak times and increasing their profits,” explained an announcement about the petition. He noted several state legislators have requested a moratorium on further installations until the meters can be tested. Many of their constituents, the lawmakers say, have reported that after installation of the meters their bills suddenly became much higher although their use of electricity did not change. Cryer said the current petition developed after Devvy and John Kidd, residents of Big Spring, went nose to nose with their utility in July 2011, when the corporation wanted to install a “smart” meter on their home. Devvy is an investigative journalist who began researching the health risks and due to her husband’s medical issues decided to fight installation. When the utility decided to play hardball by threatening to terminate power to their home, she hired Cryer. John Kidd is a retired U.S. Army colonel and classified as medically disabled. Texas law prohibits terminating power to any home where a disabled person resides. Their concern was with the radio frequency radiation and electromagnetic frequency radiation from the meter that penetrated their home day and night. “After decades of study the scientific community and government health related agencies are warning people to avoid additional exposures to RF and EMF radiation because it has been linked to many ailments including minor issues, such as headaches, nausea, dizziness, to life threatening, such as heart function interference, brain function interference, jamming of pacemakers and insulin injectors, DNA disruption causing birth defects and even cancer,” Kidd said. The utilities have been unrelenting, however. The result is the petition requesting an immediate moratorium on further installations as well as a hearing on the risk to public safety from the meters. Cryer told WND that other states are facing the same issues and have decided against the technology upgrades. But those decisions largely have been based on the nonexistent cost savings related to them. He said the Texas case focuses on the health risks. Action movie actor, martial arts champion and WND columnist Chuck Norris earlier confronted the issue. He asserted that complaints about ailments from the “electrosmog” are not hysteria or hype. “Electrosmog is pollution through electromagnetic energy. It is being produced by this vast post-Edison world, in which electromagnetic fields and flows have inundated the space around us,” he wrote. He cited the work of Dr. David Carpenter, head of the New York State Department of Health for years, who said there is evidence that radio frequency exposure at elevated levels for long periods of time raises the risk of cancer and damage to the nervous system. Also, author Brian Sussman in “Climategate” warns readers about the Smart Grid, Smart Meters, Smart Thermostats and Energy Star appliances – which he says will allow unseen bureaucrats to regulate all of the appliances in America’s homes. The “injury and illness, both immediately inflicted and gradually inflicted by the smart meters’ RF and EMF radiations is being imposed daily and such harm is irreparable,” the petition contends. 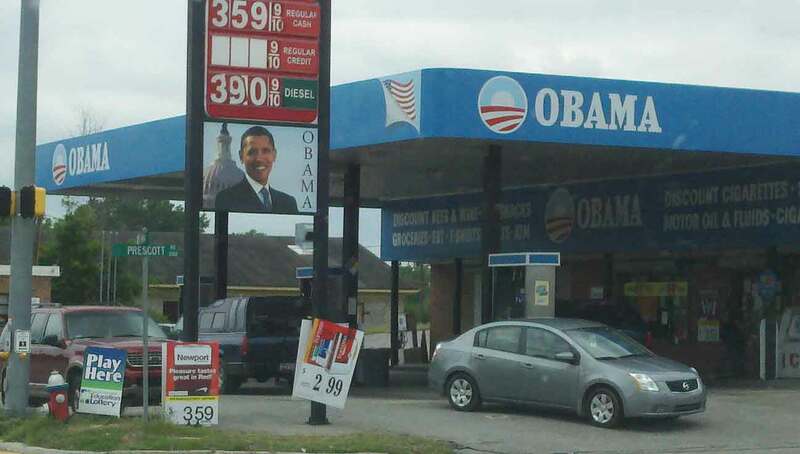 COLUMBIA, SC (WIS) – A gas station on Columbia’s North Main Street has been renamed and redecorated after President Obama. Two gas stations sit at the corner of Columbia’s North Main Street and Prescott Road, the El Cheapo and another station with a new name — Obama. “I see more people come in excited with the name,” said owner Sam Alhanik, who got the idea from a friend who created an Obama Gas Station in Michigan. He says he’s seen a boom in business since changing the name, one that has sparked quite the competition with the station across the street. Before our interview, the price at the Obama station was $3.59 for a gallon of regular. The price at El Cheapo $3.54. When we mentioned the difference during our interview, Alhanik’s cousin lowered the price to $3.53. Just seconds later, the price at the El Cheapo fell too. One that’s great for frequent customers like Larry Nelson, who says his stops here more often because of the president’s picture. “I feel like it does support him by coming here,” said Nelson. Alhanik spent $4,000 to change the name and the look. “I think it’s a good marketing tool,” said Chiquita Burton, who owns Salon 5710 on North Main. Tennessee American Water decided last year to exit billing service contracts by Oct. 31, 2012, and started meeting with all affected parties at that time “to provide ample opportunity for us to work with them to assure as smooth a transition as possible,” water company officials said Wednesday. Jessica Presley, spokesperson, said, “Discussions have continued since that time, and our communications have included potential vendors that they can potentially use for these billing services in the future. READ AT THIS LINK: Water Company Says It Alerted Cities It Would Stop Billing Services – 02/08/2012 – Chattanoogan.com. Tennessee American Water Company currently bills all water customers for sewer treatment. They are paid to do this service. They are paid to bill customers of the Moccansin Bend Waste Water Treatment Plant. TAWC has the data to do this correctly. Now they don’t want to do the billing but they want to sell the data to MBWWTP. This means all customers will have to pay for the data and then pay for the billing. The Moccasin Bend Waste Water Treatment Plant will have to start billing for sewer treatment. The cost associated with the plant doing their own billing will be passed on the the user. MBWWTP will have to either hire and accounting dept or select a third party biller. Both will cost the customer more money. The bad guy in this situation is Tennessee American Water Company. They stop billing but still collects payment for the data. All of this costing you and me more money. Over the weekend we reported on a mysterious radio frequency that caused electronic car locks to jam throughout Waterbeach, Cambridgeshire in the United Kingdom. Now, a report out of Missouri seems to indicate that these high frequency radio waves are not limited to the United Kingdom. It’s a puzzling phenomenon: On one street in St. Charles County, garage door openers have stopped working. Go to link:Garage Door Openers Stop Working On Entire Missouri Block « CBS St. Louis.